Filled with water on site for increased stability. 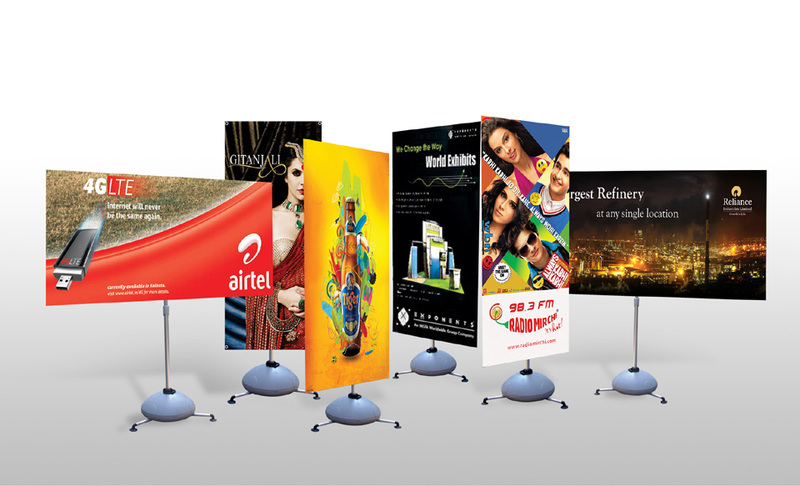 Used for stylish outdoor branding and direction signage. Storm Water Banners comprise of a hemispherical base with three pronged feet for stabilization and a pole of flex graphic using clip-on mechanism. 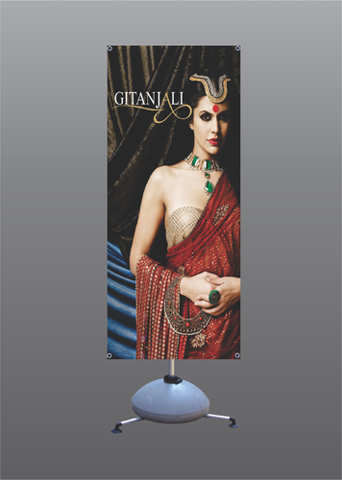 Graphics can be mounted horizontally or vertically. 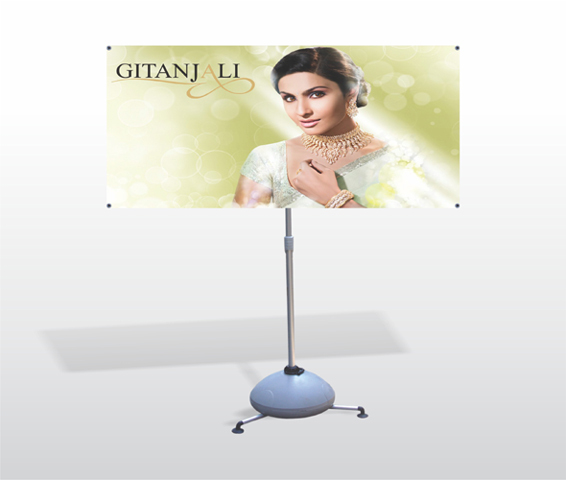 They are made of lightweight material and pack in a fabric bag, making it an excellent option for outdoor display.